I love conversations between interesting people with intellect. I had previously learned so much of Raymond Carver by reading this book of collected literary conversations he had publicly participated in throughout his short career. Reading these and learning what made Carver tick made me want to read all of his short stories as well as his poems. Completing this entire exercise was one of the most rewarding experiences of my literary life. 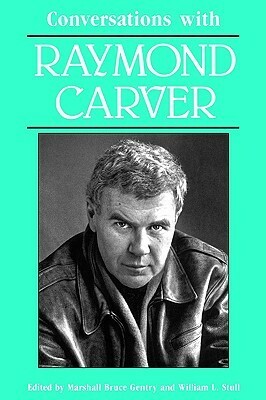 Raymond Carver is even better than he has thus far been credited for. His voice is honest and tells it like it is in the world that most of us are actually involved in. And even if we are not it does a person good to read Raymond Carver. It is spiritual in every sense of the word. I read for the second time this marvelous book again beginning 4 April 2012, and hope I never put it back on the shelf. Lots of gems in here, about Carvers life, about the US in the 70s and eighties, about writing... But urgh, I don't have to read every detail five times: Carver repeats himself quite a bit in consecutive interviews. I would have liked it so much more if they had just chosen a small number of representative interviews. It's Carver himself who at some point says: "If you can take anything out, take it out, and doing so will make the work stronger." Back to his own work. I let myself take the entire 2017 to read this book and I'm glad that I did. However, for all of the repetitiveness of the interviews and articles that are included, the insight is immeasurable. I will definitely return to it for years to come. It's unfortunate that interviews with Carver didn't really get underway until after Cathedral came out--the interviews here aren't much for plotting a progress of Carver as an artist, just because most all of them come from the same time period. Interview after interview with one of the recent masters of the short story. For any Carver devotee, a great place to garner much regarding process, influence, and intentions. I've read this in bits and pieces over the years- probably mostly in the 90's. This is a great series if you want to get to know a writer you like better.